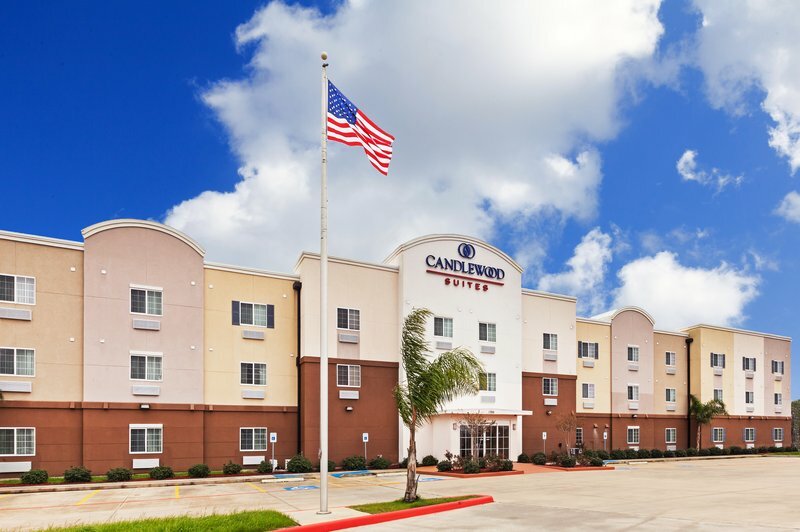 Enjoy Texas City Hotel's Location and Top ServicesThe Candlewood Suites Hotel Texas City is located off Highway 146, just five miles from downtown Texas City and 12 miles from the beaches of Galveston Island. The city is situated on the banks of Galveston Bay and is a short 12-mile drive from the NASA Johnson Space Center in Houston.Business travelers appreciate the convenient location of this hotel. Texas City is just a five-mile drive, and Galveston, League City and Seabrook are nearby, too, so you can spend more time with clients and less time commuting. When you get back to the hotel, you can stay productive using free wireless Internet access throughout the property, as well as an on-site Business Center with fax, copy and print services.The hotel's location near Galveston Island means you're just 12 miles from gorgeous beaches and fun in the sun. If you plan to stick around Texas City, you'll find plenty to do here, too. Head downtown to 6th Street, known as the "Street of Memories," where you'll find antique shops, restaurants and more. Outdoor enthusiasts also love Texas City Dike, a five-mile fishing pier.It's important to feel at home while away, which is why we take special care with the hotel's amenities. We're near Galveston beaches and Texas City attractions, but some of the best features are on the property. Enjoy a 24-hour Fitness Center, guest laundry facilities and barbecue grills. Plan your Texas trip today! Childrens's program - Moody Gardens-A tropical rain forest tour for an adventure, an I max theater, a paddleboat ride and a beach to cool off.